The Howard County Poetry & Literature Society (HoCoPoLitSo) has been producing live literary events for the community since 1974. Twenty Years, Twenty Poets, Volume II contains a selection of poetry from the variety of writers who have visited Howard County between 1994 and 2014, from the world-renowned Paula Meehan to the nationally acclaimed Mark Strand and Rita Dove. 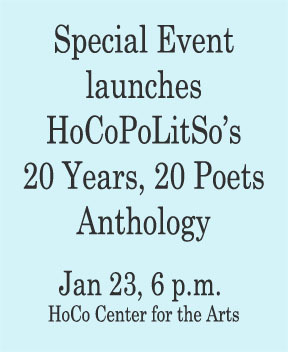 Distinguished authors such as Patricia Smith, Edward Hirsch, Mary Oliver and E. Ethelbert Miller have inscribed their words on the hearts of many Howard County residents; their poems are HoCoPoLitSo’s history, detailed in Twenty Years, Twenty Poets, Volume II. For more information, call HoCoPoLitSo at (443) 518-4568 or email hocopolitso@yahoo.com. Joining us and reading will be contributor E. Ethelbert Miller. A frequent HoCoPoLitSo guest E. Ethelbert Miller is a writer and literary activist. Miller is the founder and former chair of the Humanities Council of Washington, D.C. He served as a Commissioner for the D.C. Commission on the Arts and Humanities from 1997-2008. He is board emeritus for the PEN/ Faulkner Foundation. The author of several collections of poetry, he has written two memoirs, Fathering Words: The Making of An African American Writer (2000) and The 5th Inning (2009). Fathering Words was selected by the D.C. Public Library for its DC WE READ, one book, one city program in 2003. His poetry anthology In Search of Color Everywhere was awarded the PEN Oakland Josephine Miles Award in 1994. 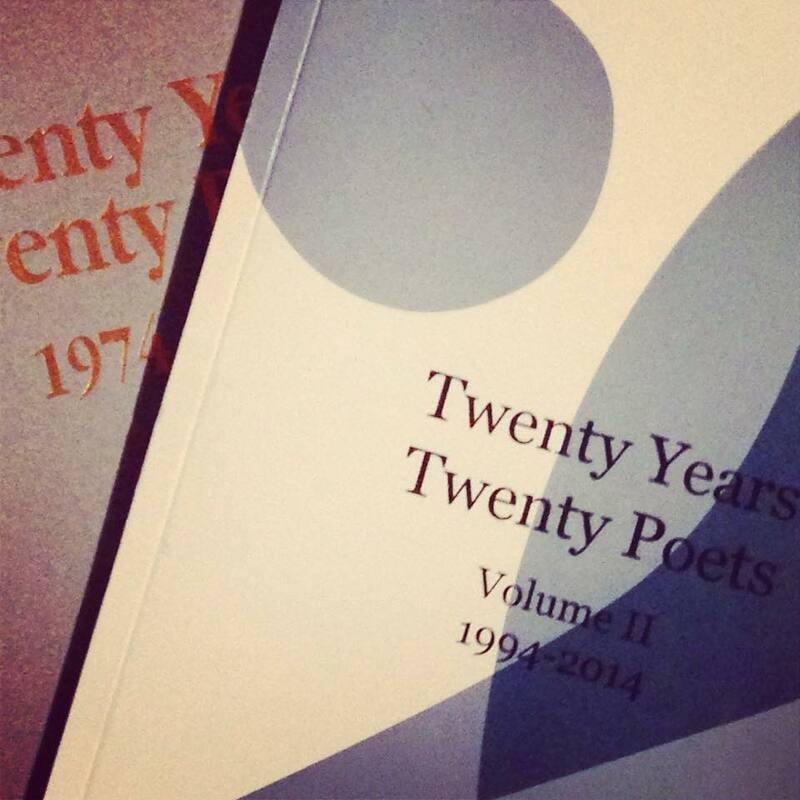 Online sales of Twenty Years, Twenty Poets, Volume II will start after January 23rd event. By timsingleton in Event, In Partnership on January 12, 2015 .